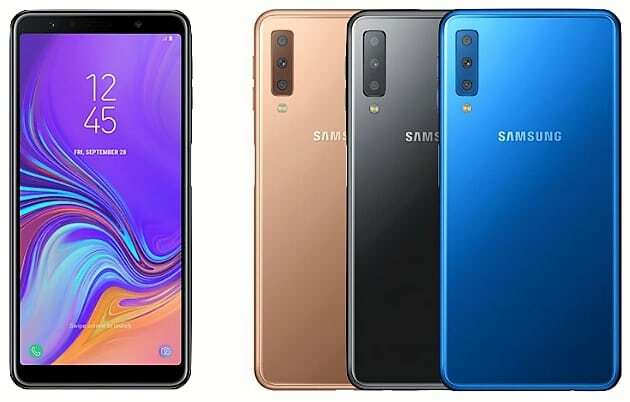 2019 Samsung Galaxy A7’s images have leaked online ahead of the official unveil next month. Showing the phone in Black, Gold, and Blue colours, the phone was recently spotted in press shots. 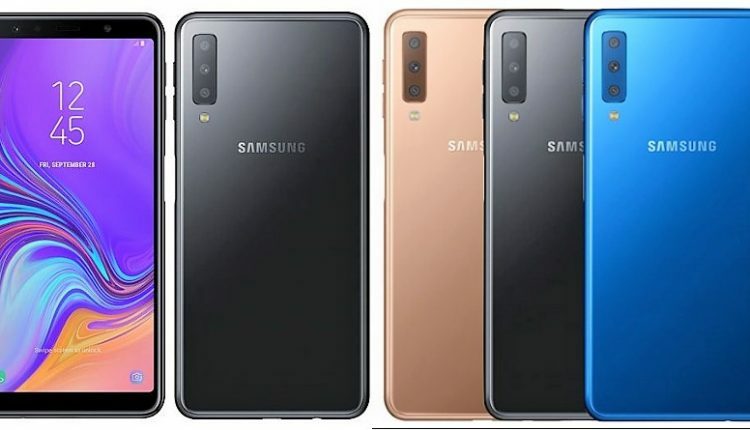 These images go on to reveal that the A7 will have triple rear cameras and a fingerprint sensor on the power button mounted below the volume rockers on the side, just like we saw on the Galaxy J4 Plus and Galaxy J6 Plus. 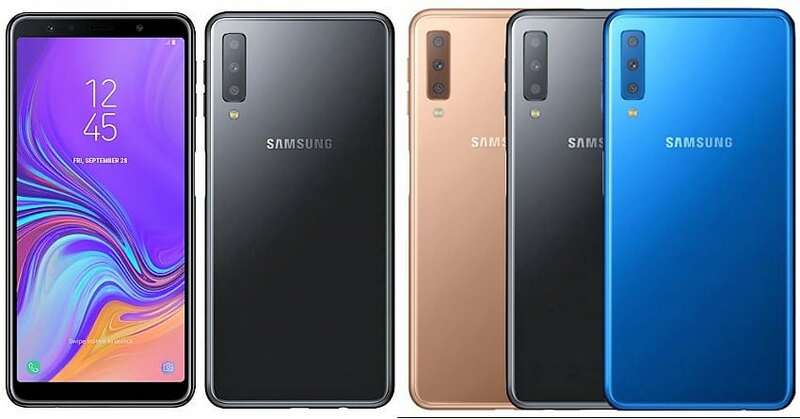 It was expected that the upcoming S10 will be the first Samsung phone to feature the triple camera setup at the rear but it seems that the company decided to bring the technology early on in its mid-range smartphones to compete with the others in the market. 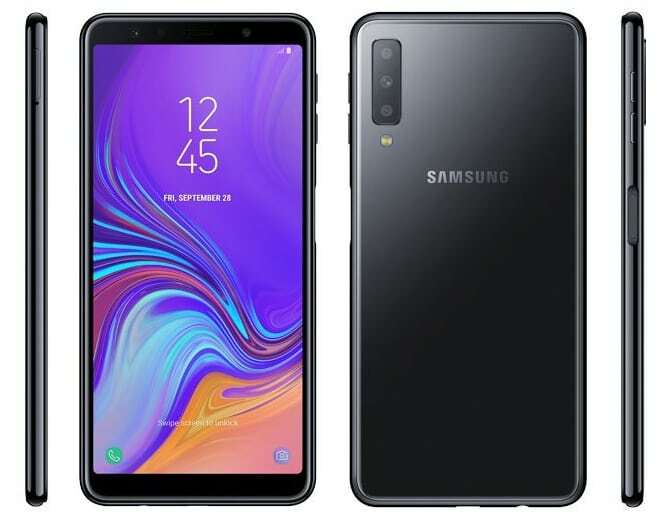 It has been revealed that the Galaxy A7 will have the same internal specifications as the outgoing Galaxy A8, featuring an Exynos 7885 chipset along with 4GB RAM. There are also speculations that there would be a second variant of the phone which will include a 6GB RAM along with 64GB of internal storage. It is expected that the US markets will get a Snapdragon 710 or Snapdragon 660 chipset. The launch of the devices is expected to be scheduled in the second week of October. There are no further details revealed about the device, but speculations suggest that the device will feature a 6-inch display with a resolution of 2220×1080 pixels. There is no presence of the notch on the phone and it is quite clear that the device will feature Infinity display. The front of the phone has a single camera module and there will be no provision of a dual camera module on the Galaxy A7. The colours of the phone have been confirmed for Black, Gold, and Blue, although speculations are that more colours will be available soon.